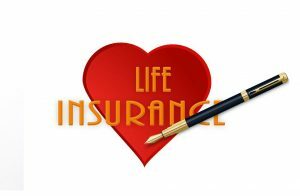 It is the job of family members to notify the life insurance company of a policy owner’s death. As many as one-third of all life insurance policy benefits go unclaimed on death of the insured. This happens because heirs often aren’t aware a life insurance policy exists, or don’t know how to find it. When missing heirs neglect to claim life policy benefits after death of the insured, by statute, unclaimed life insurance policy cash and benefits are held in trust until claimants come forward. But little effort is made to locate these lost heirs and they can be difficult to trace. This occurs due to name changes after marriage or divorce, an unreported change of address or expired postal forwarding order after a move, as well as incomplete or illegible records. Custodians recently took custody of $22.8 billion in unclaimed life insurance funds, of which less than $1 billion was claimed by owners or heirs. Even if your insurance company no longer exists, payments of up to $300,000 are possible from state insurance guaranty associations. In addition to unclaimed policy benefits, lost heirs and policyholders may be entitled to an unexpected windfall. As a growing number of mutual life insurance companies – including MetLife, John Hancock, Prudential and others – have converted to public ownership. Millions of current and former policyholders and heirs are entitled to receive stock and cash, in addition to policy benefits. When John Hancock de-mutualized, it did not have current addresses for 400,000 policyholders. Prudential could not locate 1.2 million missing policyholders, and billions of dollars in MetLife stock and cash arising from its de-mutualization went unclaimed. Heirs of deceased policyholders may also be entitled to receive restitution arising from a recent audit of major life insurance companies that revealed insurers failed to pay death benefits to beneficiaries even in cases where they knew, or should have known that the policy holder was deceased. Insurance companies participating in the settlement include: AIG, Aviva, Forethought, Genworth, Hartford, ING, John Hancock, Lincoln National, MetLife, Midland National, Nationwide, New York Life, Northwestern Mutual, Pacific Life, Prudential, Symetra, TIAA-CREF, Transamerica and Western & Southern. These companies write more than 50% of all the issued and active life insurance policies nationwide. If you have reason to believe a life insurance policy exists but have not received payment, contact us to initiate a search.